Columbus Day this year is Monday, Oct. 8. This federal holiday has been celebrated annually since Oct. 12, 1792, when the city of New York decided to recognize and remember the first landfall in the New World by the Italian explorer Cristoforo Colombo (in Spanish, Colon). It was on Oct. 12, 1492 that Columbus and his three ships landed on an island in what is now the Bahamas called Guanahani. There have been calls in recent years to change the holiday to National Indigenous People’s Day in recognition of the destruction of native cultures brought about by the arrival of the Europeans and their killing diseases. But most of us still acknowledge the bravery and resolve of Columbus and his men to seek new frontiers in an unknown world. And here in New England, Columbus Day is a holiday to honor the many contributions to history and culture by Italian-Americans: in some of our bigger cities, there are parades and festivals to mark the day. 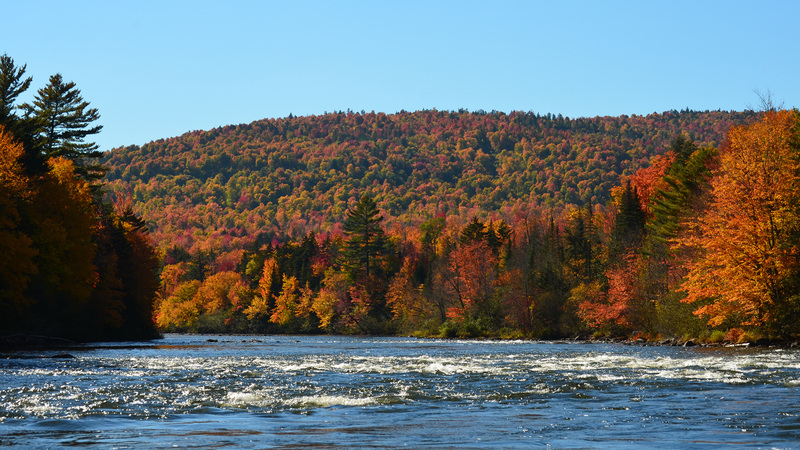 Here in the North Country, Columbus Day could be renamed “Leaf Peepers Day” because the fall foliage is usually at its peak in early October. The day could also be called “Get Ready for Winter Day” because up here, we know that Old Man Winter is lurking. October is the time to prepare for the snow and ice to come. House foundations must be protected, snow plowing stakes must be installed to mark the roads and drives, and there is always work to be done. Don’t forget getting our 200+ miles of snowmobiling trails ready for the season. At Lopstick, we think of Columbus Day as “Last Long Weekend Before Winter” Day, and encourage all of our guests to plan a nice long weekend with us in the Great North Woods. Our hunting guests are active in the woodlands all around us, there are still some days of fishing left on both the rivers and lakes, and the last warm days are perfect for walks and hikes, always looking out for moose sightings! So however you want to celebrate this early October weekend, come do it with us! We have your favorite cabin ready, some with fireplaces and hot tubs. Now that’s a nice way to celebrate Columbus Day! Click Here to check out our Cabins.